The University of Tasmania's Sandy Bay campus is set on 100 hectares in the beachside suburb of Sandy Bay, five minutes' drive south of the city centre. This scenic campus sits between Mount Wellington and the Derwent River and is partially fringed by natural bushland, but is also located within a busy urban community. 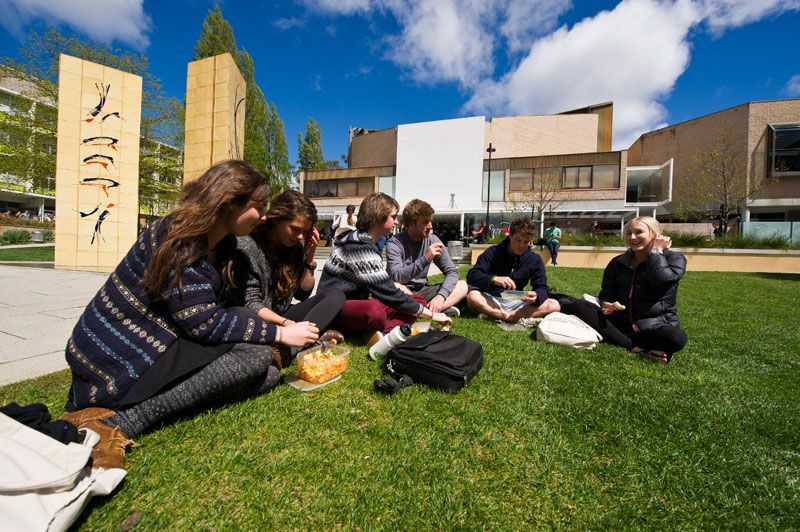 The campus is close to shops, transport, accommodation, entertainment and services and is just a short walk to Hobart and drive from Hobart Airport. Many of the University's faculties are based at the Sandy Bay campus, and share close links with our city-based satellite campuses including the Conservatorium of Music, the School of Creative Arts | Art and Institute for Marine and Antarctic Studies on Hobart's waterfront, the multi-million dollar Medical Sciences Precinct, which is home to the College of Health and Medicine and the Menzies Research Institute, and the Domain. The University of Tasmania is planning further expansion of facilities in the Hobart CBD, with the Academy of Creative Industries and Performing Arts which is proposed to be built on the car park next to the Theatre Royal. The College of Sciences and Engineering has off-campus facilities in the south, including the University Farm near Richmond, which is the site for agricultural research. The University's observatories and the Grote Reber Physics Museum are located at Cambridge, near Hobart. Including exceptional faculty buildings, class and study spaces, childcare, retail outlets and service centres. Extensive choice of on-campus food outlets and dining choices, from coffee kiosks to bistro-style dining and residential food options. Fantastic on-campus recreation services and facilities, including clubs, societies and gymnasium. Quality on-campus accommodation is available for students.